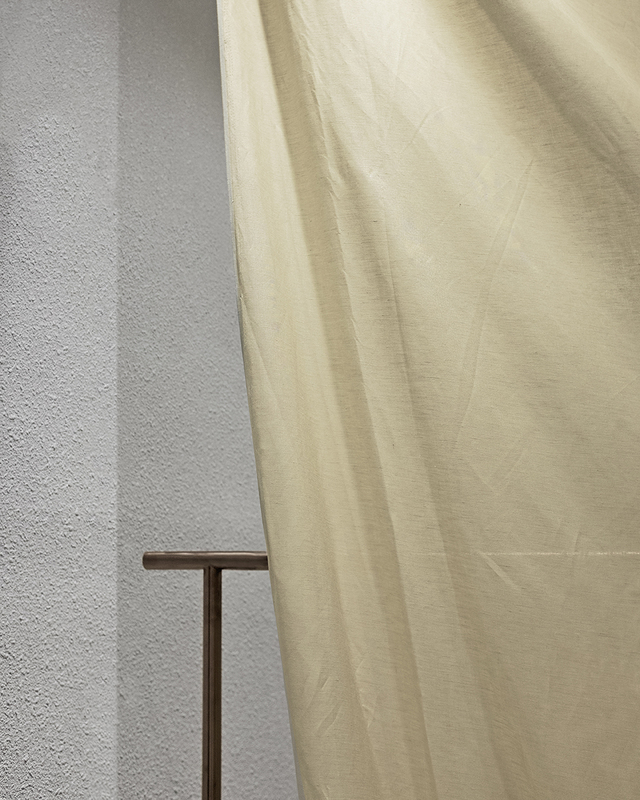 Drapes is a simple installation of garments selected among those used in Nosbyn Studio’s Spring Summer collection. These dangling fabrics are kept in their original state, relaxed and as raw as they've got woven from the loom. The thought behind this work is to communicate the brand's geniune material selection and their transparency in the process that goes behind each piece of clothing. Together with the new launching collection, this installation aims to send a message of concious consumption with the increasing awareness of honest materials and transparency in the fashion industry.